We are glad to inform you that in December 2014, GlоbeCоre started to produce mobile oil stations designated as the CFU line that are equipped with an additional intermediate container. 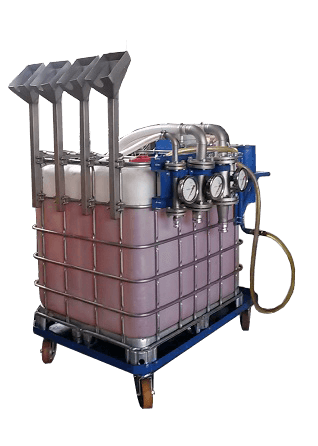 The new CFU Mobile Oil Filtration Stations are designed to remove mechanical impurities and other contaminants from insulating and lubricating oils. The units are able to extend the service life of the product being processed, provide trouble-free servicing and may be used directly at the remote operating site. A proposed innovation: An additional intermediate container allows for collection of contaminated oil from tanks that located in different areas of the production shop. To meet the customer’s order and needs, the processing power of mthe obile oil purification station may be increased from 160 litres per hour to 4 m3 of recycled oil per hour. Additionally, special filters may be mounted in the oil degassing station to remove moisture. The filtering degree will also vary depending on the requirements specifications of the unit.